Home EXERCISES How to Avoid Back Muscle Pain While Exercising? How to Avoid Back Muscle Pain While Exercising? Almost every person at some point in his or her life experiences back muscle pain. In case you happen to be one of these people, you should know that aerobic or cardiovascular exercises relieve this pain or exacerbates it. In order to know how to treat muscle pain in the back first you should understand why it appears. There are numerous culprits that we could find for back pain. Among them you can find extra weight, depression, anxiety and also stress. Physical causes of back pain include ruptured of herniated discs and strained tendons and ligaments. Different habits can also contribute to back pain such as improper posture, scoliosis, arthritis, sciatica and osteoporosis. In case you have to sit for longer periods of time, having an improper posture or having an incorrect lifting technique all lead to back muscle pain. In case you experience some muscle pain in the back medication shouldn’t be the first thing that you think of. The main point of the aerobic fitness or cardiovascular fitness is to overload the heart and the respiratory system. 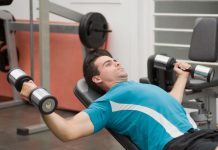 While performing the workout the movements and cadenced, the heart rate is elevated and large muscle groups are used. 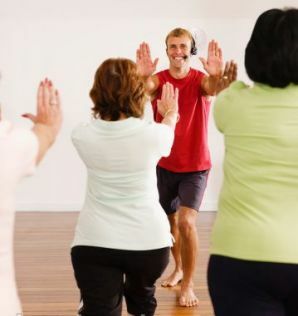 The workout could include dancing, skiing, running, walking, cycling, climbing stairs, and swimming. In case you are thinking about high impact aerobic workout you should know that it puts even more stress on the muscles and it makes the pain worse. On the other hand, in case of gentle and low-impact fitness exercises you can manage to alleviate the muscle pain in the back. If you have the possibility to do some cardiovascular exercises on a regular basis you can strengthen the muscles, achieving increased spine support. 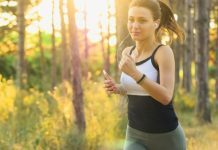 The exercises that you should be thinking about include speed walking and cycling and while they help you get rid of the back muscle pain, they also have the same benefits as the other exercises. If you experience pain in your back, the best exercise that you can be thinking about is swimming. The exercises that you do for eliminating the back pain also help you lose weight, and this is especially useful in case the pain is caused by you being overweight. If you are experiencing muscle pain in the back then it is very important for you to have warm-up and cool-down exercises before and after the workout. In case your muscles are stiff and cold, it is more likely for you to get injured during the workout. During the warm-up you should be using the back muscles and the other muscle groups that are going to be engaged in the activity. In case of back pain during the warm-up you could make bends, shoulder circles, spinal twists and marching in place. During the cool-down period you should do some stretching that helps with back muscle pain.